It is his third birthday. This marks a significant change in his life. Now he begins his Jewish education. His hair is cut for the first time leaving the payot (sidelocks). He begins to wear a kippah (head cover) and tzitzis (a fringed garment) for the first time, and he begins to learn the aleph-beis. It is a special day. 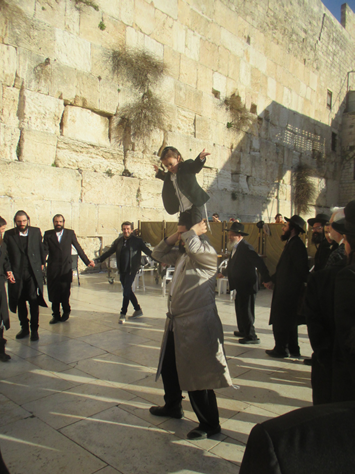 For this boy it was also dancing at the Kotel on Abba's shoulders and then handing out treats. The beginning of a lifelong pursuit of learning and living Torah.